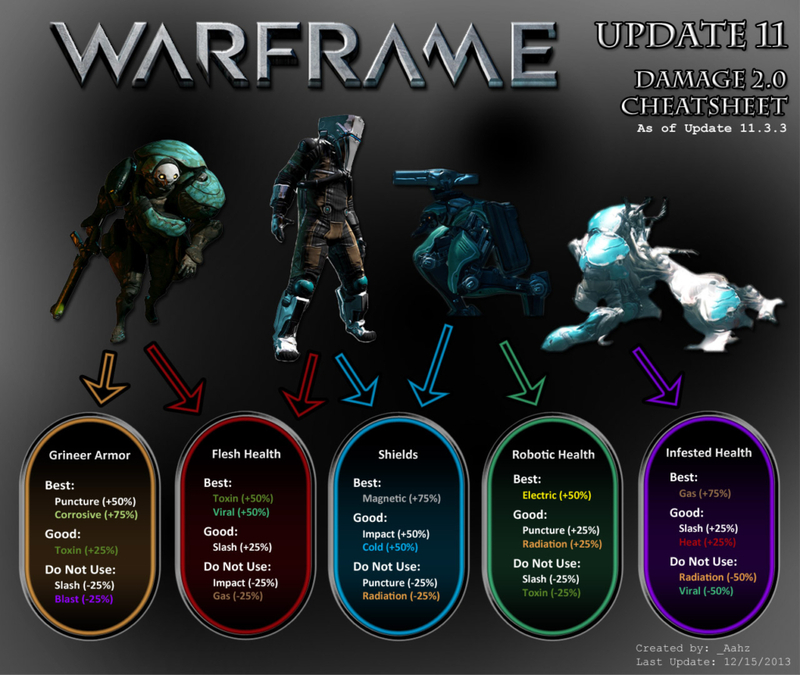 Damage in Warframe is pretty complicated… just like the rest of the game. The amount of damage you do to a given enemy depends on the type of physical damage you’re dealing, what kind of elemental mods you have equipped, if those combine into more powerful elements, and much more. 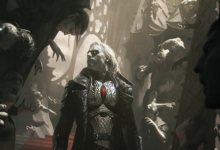 Most enemies also have both vulnerabilities and resistances — even within the same faction. But before we break down the different Warframe damage types, and how to understand that aspect of the system, let’s first talk about the numbers that Warframe displays. When you deal damage to enemies, you’ll notice numbers spewing out of them. These are color coded based on how successful the attack was. Default attacks are white while critical hits are yellow. Orange and red indicate even stronger “super critical” hits that are only possible when your weapon has a greater than 100 percent crit chance. And when damaging shields, the numbers will always be blue. Likewise “overshields” are always purple. The only time you really need to worry, though, is if you’re seeing gray. 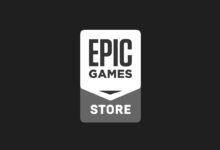 This means the enemy isn’t taking damage at all. Most weapons have one of — or some combination of — three physical damage types. Impact (represented by a hammer icon), Puncture (a needle through a circle), and Slash (shown as an arc) are the primary physical damage types you’re dealing with. Each has its own strengths and weaknesses associated with it. Impact is generally strong against shields, Puncture against armor, and Slash against flesh. They also have a chance to generate different status effects. Impact: Strong against Shields. Weak against flesh. Can stagger enemies. Puncture: Strong against armor. Weak against shields. Can reduce enemy damage output. Slash: Strong against flesh. 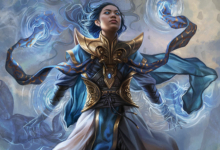 Weak against armor. Can cause a bleed effect. Physical damage can also be amplified by mods such as Serration. While physical damage is typically (but not always) determined by the weapon you’re using, elemental damage is almost entirely (but not always) determined by the user. 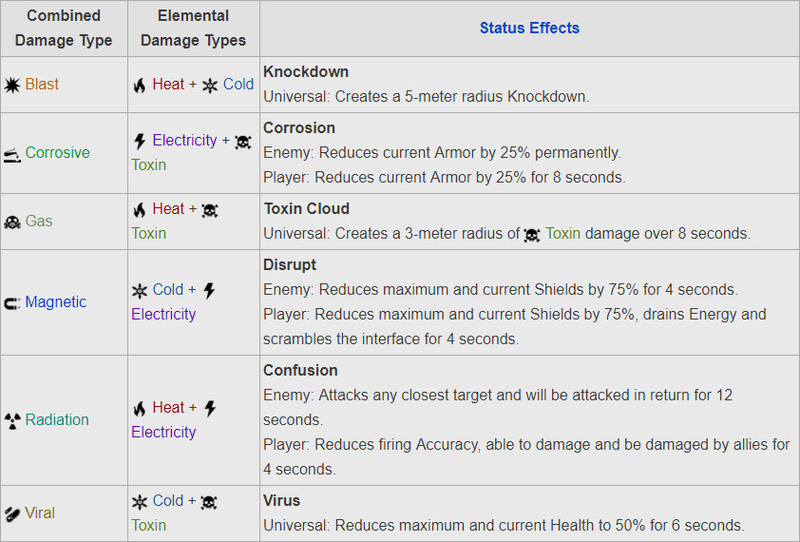 You can add elemental damage types on top of a weapon’s physical attributes with mods. There are four primary elements in Warframe: Cold, Electricity, Heat, and Toxin. Cold: Strong against shields. Weak to flesh. Can slow enemies. Electricity: Strong against robots. Weak to armor. Can chain lightning to other enemies. Heat: Strong against infested flesh. Weak to shields. Can cause burn and panic effects. Toxin: Strong against regular flesh. Weak to robots. Can cause a poison effect. Secondary elements are created by equipping an even number of elemental mods with differing damage types. For example, Hellfire (heat damage) and Cryo Rounds (cold damage) combine together to create the secondary Blast damage. Note that combined damage types take the place of their constituent elements. So if you do combine them to make, say, Blast damage, you will no longer deal Heat and Cold damage. You can counteract this by equipping an odd number of elemental damage mods. Blast (Heat + Cold): Strong against machines. Weak against armor. Can knock down enemies. Corrosive (Electricity + Toxin): Strong against armor. Weak against shields. Can reduce armor effectiveness. Gas (Heat + Toxin): Strong against Infested flesh. Weak against regular flesh. Can create a toxic cloud. Magnetic (Cold + Electricity): Strong against shields. Weak against armor. Can reduce shield effectiveness. Radiation (Heat + Electricity): Strong against armor. Weak against Infested and Corrupted enemies. Can confuse enemies. Viral (Cold + Toxin): Strong against regular flesh. Weak against Infested flesh. Can reduce maximum health. If you need a more visual explanation, see the image below from the Warframe Wikia. 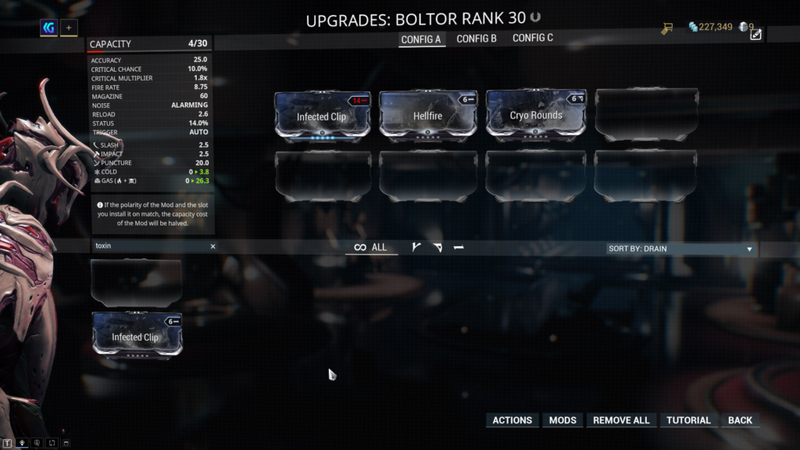 The order in which you place the mods also matters in Warframe. The game reads them left to right, top to bottom. 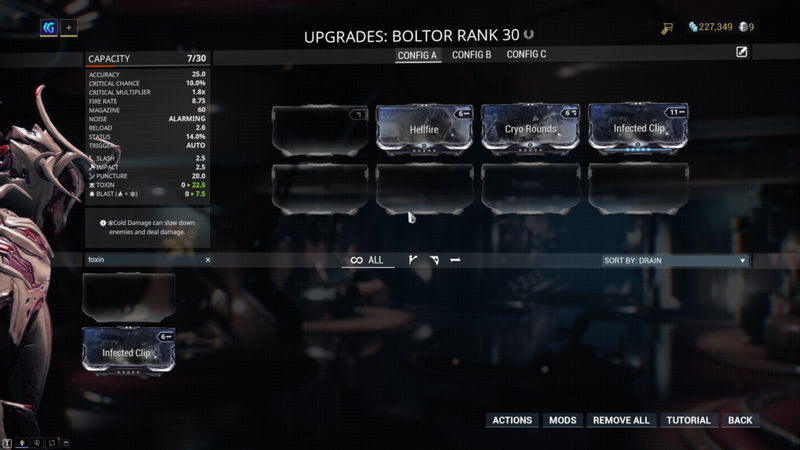 Put a third mod after those Heat and Cold mods to add another primary elemental effect such as Toxin. Put the Toxin before those mods, however, and you’ll get Gas damage and Cold damage instead. See the screenshots below for the example. 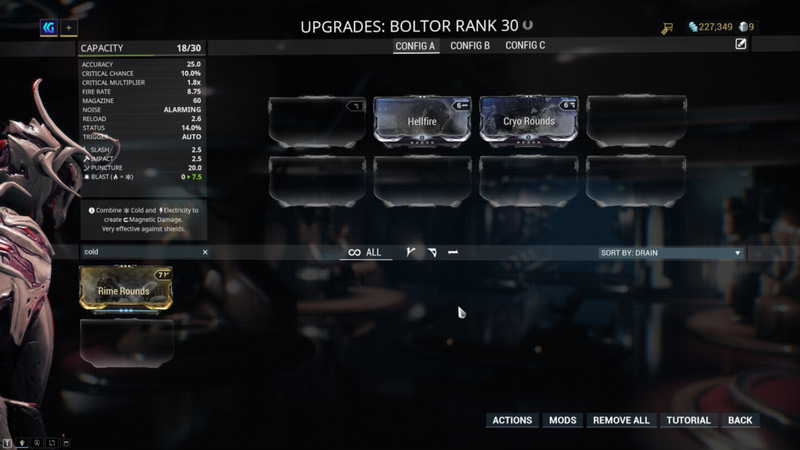 You can have three different mod loadouts for each weapon and ‘frame you have. We recommend you outfit each of these for the main enemy factions: Grineer, Corpus, and Infested. 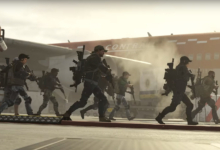 The vast majority of early to mid-game missions focus on these foes. And every mission will let you know the primary enemy type within, so setting up different loadouts lets you easily swap to the right mod setup. For the most part, this will carry you all the way to endgame activities and beyond. This visual breakdown by Aahz makes it pretty easy. Grineer: Corrosive and Toxin (swap Corrosive out for Radiation at high levels). These will take care of most missions. Later in the game, you’ll start facing Corrupted (Void) enemies. These technically consist of multiple mutated factions, but it’s generally accepted that Corrosive and Cold are best for the majority of them. 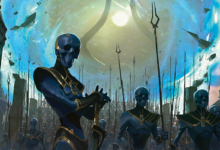 You may also discover Void and Tau damage which are unique to the late game Sentients. The Sentient faction we just mentioned is unique. Unlike other enemies, which have defined strengths and weaknesses, Battalysts and other Sentients can adapt to your damage as you deal it. So if you do too much Heat damage, they’ll become resistant to Heat damage in turn, and so on. These resistances occur at five different health gates. When a Sentient reaches a gate, they gain a a whopping 95 percent damage resistance to whatever damage you inflected the most. Therefore you need to vary up your damage types. Consider equipping your primary, secondary, and melee weapons all with their own damage types. Later in the game, you also unlock “Operator mode.” This allows you to leave your Warframe and use an Operator’s Void Beam to damage Sentients directly. The effect will remove all of the enemy’s developed damage resistances. They will regain them again, however, so you’ll need to hop out and reset the damage threshold. And for reference, this ability becomes available after completing The Second Dream quest. And there you have our very basic breakdown of Warframe damage types! Consider checking out this table if you need the real nitty gritty on every single enemy type. 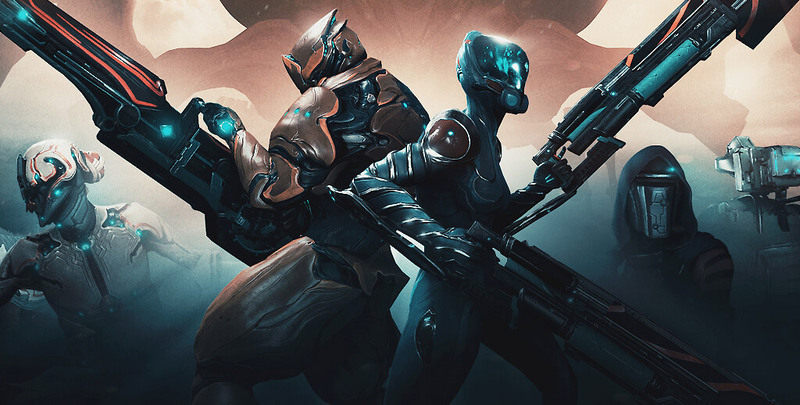 But know that these tips and tricks should help you get through nearly all the content in Warframe without a hitch. Good luck out there, Tenno! Here’s the Lore: Warframe – What is a Warframe?